Promoted by the declaration of the Kazan Kremlin as a world heritage site, and the imminence of Kazan’s 200th anniversary, the Kazan government has initiated some significant improvements to the city centre. 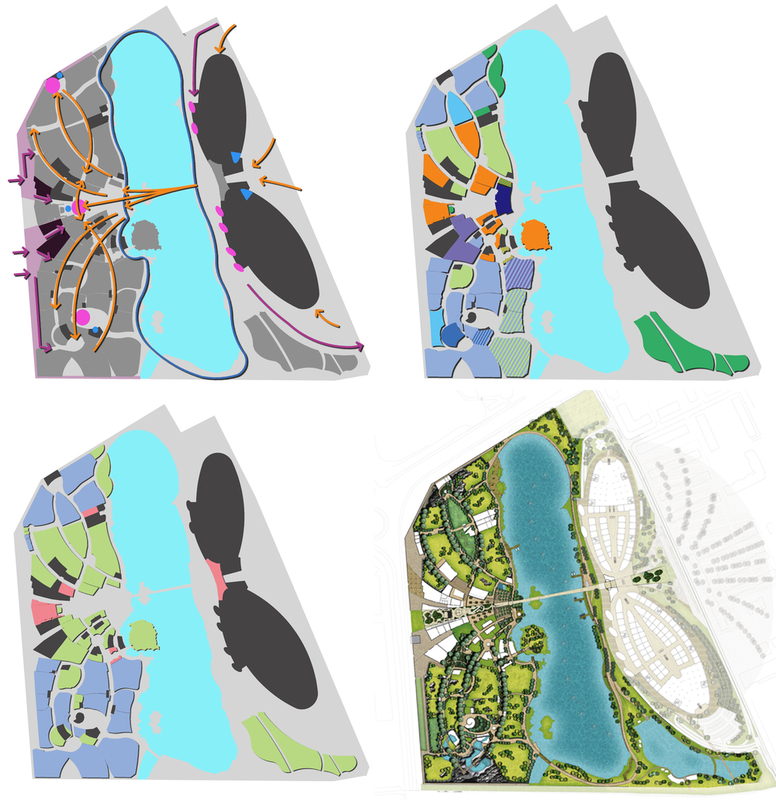 This project addresses the masterplanning of three adjacent city sites totalling 40ha, to incorporate the Kazan Zoo and Botanical Gardens. 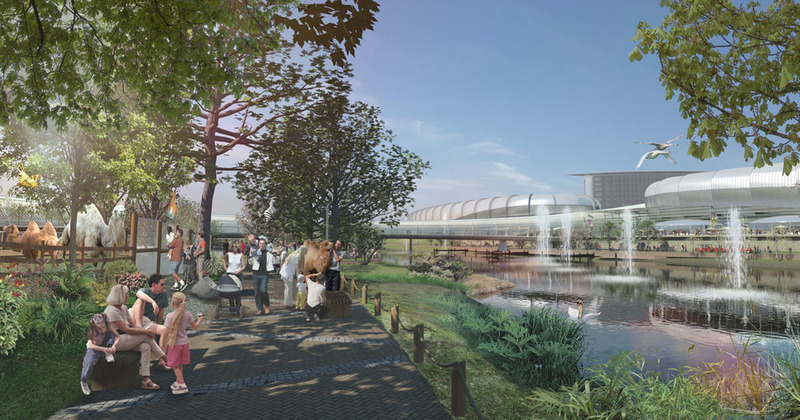 The existing zoo is relocated to a greenfield site across a lake away from the city, linking back to the city by means of a signature bridge, which symbolically represents the body of the ‘Strikaza’ (dragon fly) which has inspired the extended masterplan. The tubular bridge encompasses a winter garden, at the retail end , housing an historically significant collection of sub tropical plants, while at the zoo end the bridge terminates in a spectacular tropical house. The zoo component has been developed in conjunction with the Zoological Society of London. Due to the harsh winter conditions in Kazan, the zoo layout clusters ‘warm’ species around the central tropical house to give visitors a mini zoo experience in winter without the need to venture outdoors. The retail mall acts as the entrance to the zoo on the ground floor and contains 80,000 sqM of shopping space including a food hall on the third floor. It is expected that the retail component will help ensure that the overall development will be self-funding.